An SCE crew holds a safety tailboard. SCE has extra crews ready to respond as record high temperatures may result in power outages. As summer’s first heat wave makes its way through the Southland, the National Weather Service has issued an excessive heat warning for most areas, including the beaches, mountains and valleys, for Friday and Saturday. 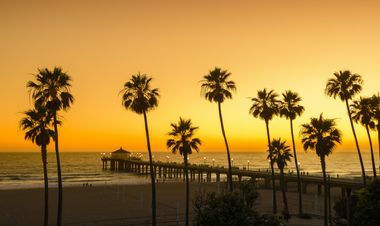 In preparation, Southern California Edison has extra crews at the ready and additional personnel monitoring the impact on the electrical grid, in case high temperatures result in additional power outages. Our crews are ready to respond to incidents that may occur due to this record heat wave. Our No. 1 priority is the safety of our customers and employees. We want to remind our customers to stay away from downed power lines and to call 911 immediately. The weather service is predicting record heat in Los Angeles, Ventura, Orange, San Bernardino and Riverside counties. Temperatures could get as high as 102 degrees along the coast while the valleys and San Bernardino County may see 112 degrees. The hottest areas are expected in Riverside County with forecasts as high as 118 degrees. The excessive heat warning starts on Friday morning and lasts through Saturday evening. 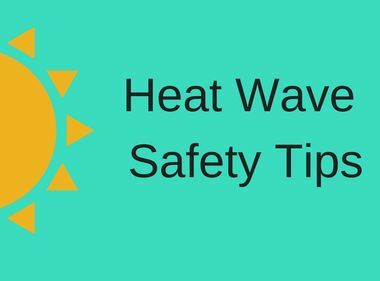 During extreme high heat, SCE looks at planned outages on a case-by-case basis and factors such as public safety and reliability needs are considered. In some cases, these maintenance outages are postponed to a later date. Cool Centers provide safe, air-conditioned facilities during heat waves. Input your zip code to see which facilities are in your area.